This is red clay, we added texture with leaves pressing them on the clay slab, then we put the slab in a small dish to give it the curved shape (it’s possible also to dry it with a hairdryer). 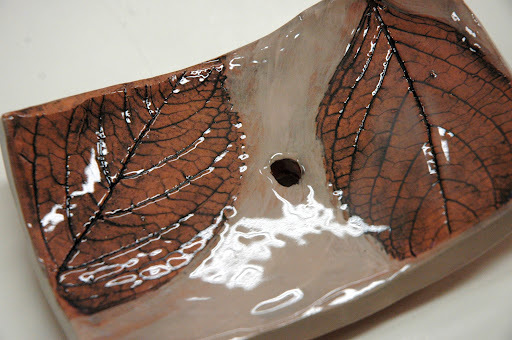 When it is dry you fire in the kiln and paint the leaf impression with dark brown, then you can sponge it off. The light color is the last color we’ve painted. The colors are like SLIP COLORED CLAY, but you can also use UNDERGLAZE COLORS. These are all opaque colors, so, you need to glaze it with a transparent glaze. 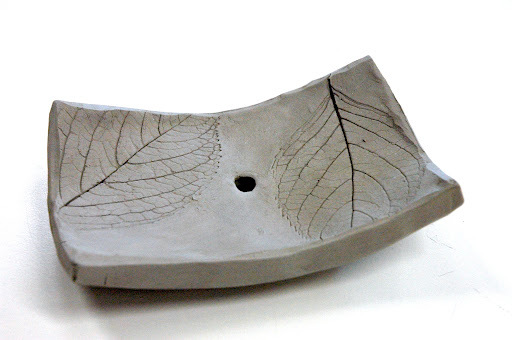 These ceramic trays are beautiful.I love the leaf prints. Agreed- this soap dish is so charming! Stunningly beautiful. I want to try this with my students tomorrow. I feel silly but I have never used "liquid" clay? What brand is it? Does it come in colors? Is that the "engobe" stuff you used in another lesson? Yes, It's "engobe" or "slip" clay, for decorating and casting, have you never used it before? No but something tells me it's in my future! 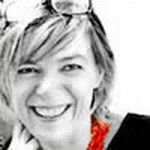 Hi Miriam, Could you please add some more information about the use of the slips and engobes? You wrote that after firing you used brown engobe slip on the leaf texture. You wipe that off again? And how is it you get about all the black tiny “nerves” on the leave? I’m new with engobes (use ready made glazing by Mayco), so I’m curious about the whole engobe process. Thanks much for your help. Hi sherlizza! Engobes are like liquid colored clay, so you can use them on the green clay before the first firing, or after the first firing, when the clay is bisque. 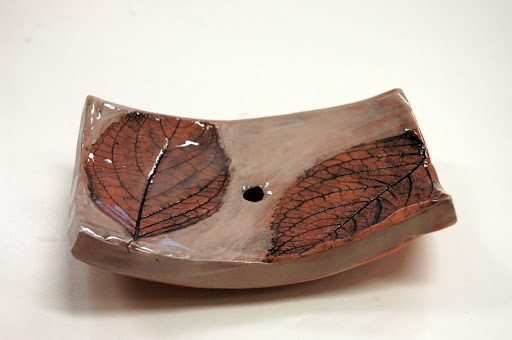 In this case I painted the imprint of leaves with a paintbrush with dark brown engobe on the bisque (after the first firing), then I wipe it off with a wet sponge. The brown color remained into the imprints left in the clay by the leaf. Ask me any further question, and sorry for my english that is not perfect! Show me any experiment you’ll do!